Wishing you a belated happy new year. I hope you have a year filled with peace and prosperity. The past year was a period of strong growth for our tours. 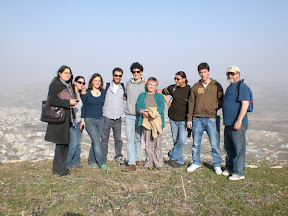 Many new tours were added in 2009, and additional services such as accommodations in the West Bank. 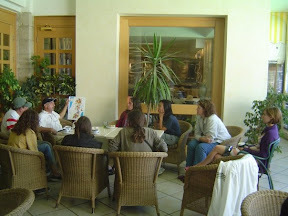 Plans for 2010 include the development of alternative tours throughout Israel in order to provide comprehensive touring services to our guests. Do come and visit soon. Our daily alternative tour of the Old City of Jerusalem was inaugurated during December. A cadre of seven committed guides are dedicated to developing this tour. Each morning (except Friday) the tour begins with a briefing at the Damascus Gate Travel Center then continues through all the Quarters of the Old City. The guides elaborate on the history of the area, emphasizing the centrality of the Old City to the conflict, and analyzing the situation on the ground. by Fred Schlomka - Israeli Prime Minister Netanyahu has said that "Jerusalem is the eternal capital of the Jewish people, a city reunified so as never again to be divided". Nothing could be further from the truth. Jerusalem today is a city dissected by walls and fences, divided by race, religion and ethnicity, and traumatized by home demolitions, ethnic cleansing, and brutal government policies. 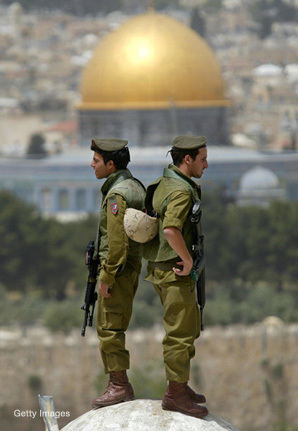 The boundaries of modern Jerusalem include 38 square kilometers inside Israel proper, plus 70 square kilometers of the West Bank territory conquered in 1967, reaching north towards Ramallah, south to Bethlehem and half way to the Dead Sea to the east, encompassing a total of 108 square kilometers. Over one third of the annexed territory was expropriated . . . . . . . . . . . . . . . Continue reading. Fred Schlomka's recent visit to the USA included speaking engagements in various parts of the country, and a TV interview. The topic of the presentations was the possibility of a 'Three-state Solution' - Palestine, Israel and a Union or Con-federation stretching from the river to the sea. Audiences were generally receptive to this expansion of the two-state scenario since the concept includes the right of abode anywhere in the country for all the residents of Palestine and Israel. This is a theme that Fred will be continuing to develop, and he will return to the USA in September for further discussions and presentations. If you, or an organization you are affiliated with, are interested in hosting a presentation, please contact Fred.